Bethesda’s Creation Club has had a bumpy start, and now players are complaining that the beta is forcing players to stealth-download files for every mod available on Creation Club without permission. Fallout not cutting it anymore? Check out our list of the PC’s top RPGs. “You just used MY bandwidth, and MY system and storage for something you are trying to SELL me. All without asking/telling me,” BlueBeeradds. Cartogriffi, a Bethesda community manager, has responded to the complaint and confirmed the issue’s been added to Creation Club’s Known Issues list. Unfortunately, that’s not all. 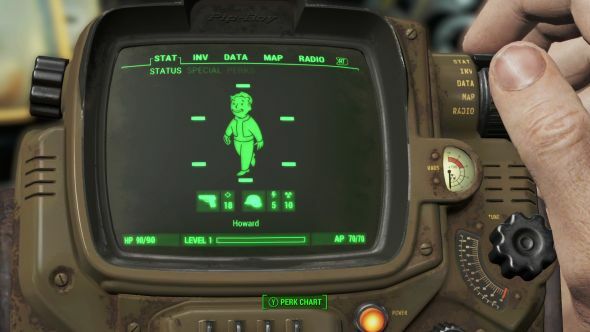 While it remains to be seen quite how extensive the problem is, some players are alsoreporting that their Creation Club mods, such as Pip-Boy Skins, are fatally conflicting with their free ones. The auto-alphabetising of file names, too, has caused problems, interferring with the game’s mod load order. While we’re on the subject of Bethesda mods, have you seen that Fallout: New Vegas’ Project Brazil is now New California?